Lisa Goatley,1993, “The ICU,” The Socialist: Journal of the International Socialists of South Africa (ISSA), June/July, number 11, p. 15. This short analysis was the first in a series on working class history in South Africa in the paper of the International Socialists of South Africa (ISSA, now the group Keep Left). 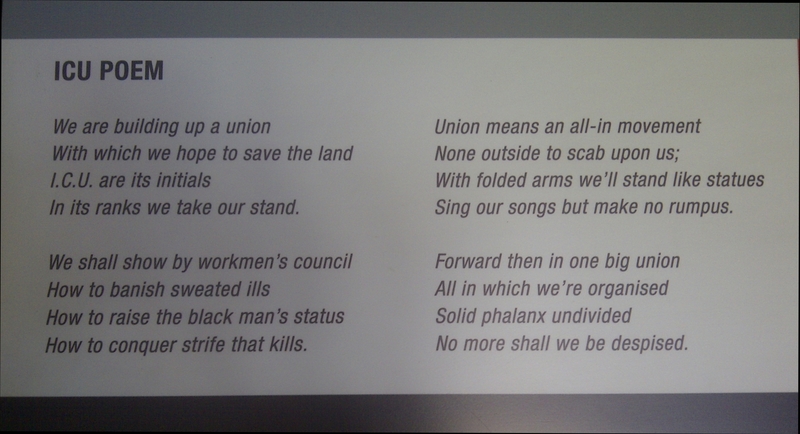 The Industrial and Commercial Workers Union (ICU) was a mass general union formed in South Africa in 1919, which had some syndicalist influences. ISSA / Keep Left was/ is a Trostkyist Marxist group in the International Socialist Tradition, associated with Tony Cliffe and Alex Callinicos. The Rise and Fall of the ICU: a Case of Self-Destruction?